Southern Alberta’s flood season is on the way, and with unpredictable spring conditions posing an increased risk of water damage to homes and properties; homeowners should take proactive preventative steps. It doesn’t take a major flood to cause serious damage; even small amounts of moisture can lead to foundation problems, mould and other issues that can be very expensive to fix. The good news is that a few simple landscaping and property upgrades can greatly reduce your chances of being affected by flooding. Retaining walls, grading and a well-designed gutter system are all proven strategies for warding off water. Retaining walls are designed to add lateral support to vertically graded soil. They get their name from the fact that they “retain” soil, preventing it from collapsing or slipping. While their primary purpose is to hold back soil that would otherwise cave in or slide into a more natural shape, retaining walls also form effective barriers against floodwaters. By virtue of their design, retaining walls facilitate water drainage, even in cases where volumes reach levels that are much higher than normal. As an alternative, you may want to consider a terrace-style barrier, especially if you live in a known flood-prone region of Alberta. These structures are purpose-built to handle unusually high water levels. 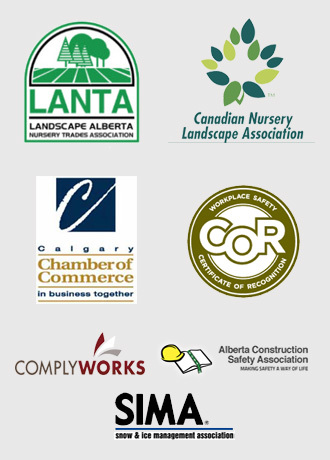 Every property has different needs, so be sure to discuss yours with an experienced Calgary landscaping company. Property grading is a strategy that safely routes rainwater away from your home. In essence, grading creates a gentle downward slope that leads away from your house, preventing rainwater from collecting around the perimeter of your home and potentially penetrating it. While it is standard practice for lots to be graded when they’re sectioned off and sold, older properties may require upgrades. You may also want to introduce a steeper grade to your property if you’ve noticed excessive moisture collecting close to your home after a heavy rainfall. Remember, too, that well-built patios and walkways also promote safe drainage away from your home. Even a gentle downward grade is enough to keep rainwater from building up in problem areas. It’s also essential to ensure that your gutters remain clear of debris all year round. In the winter, blockages can lead to ice dams, and in the spring, summer and fall, it can prevent rainwater from properly draining. This can lead to water backlogs that may get into your home through your roof. For assistance designing an effective rain gutter system, contact a reputable Calgary landscaping company. If hail damage strikes despite your best efforts to prevent it, pruning affected plants is usually the best way to encourage healthy regrowth. For three generations, the pros at Mirage Landscaping have been helping Calgarians beautify and protect their properties. We offer everything from construction services and landscaping to regular lawn care and wintertime snow removal. Our services are affordable, and we guarantee your full and complete satisfaction. 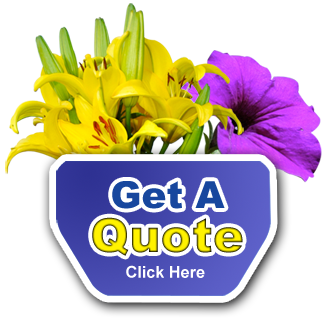 Visit our website to get a fast, free quote for all your property maintenance and landscaping needs.